Winner, Independent Publishers Award 2000, in the Pop Culture category. Pills-A-Go-Go savors the American love affair with little gems—from Quaaludes and Prozac and Desoxyn to Viagra. 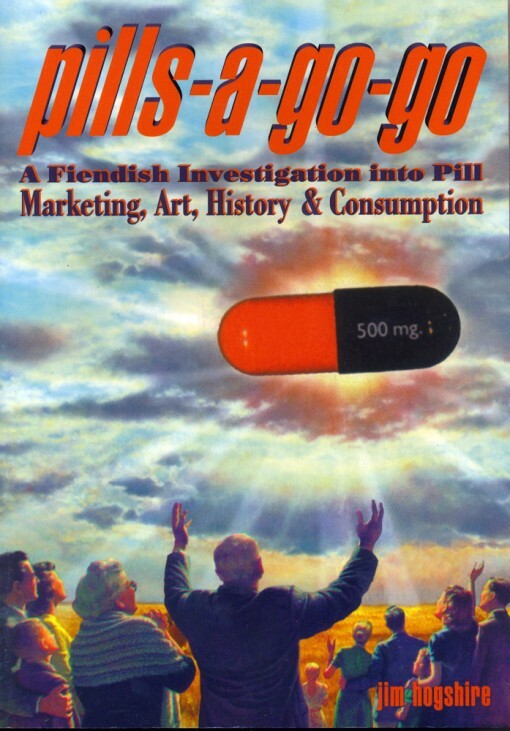 Inspired by Jim Hogshire’s zine of the same name, the book version goes much further, filled to the brim with weird pharmaceutical ads and history, exposes of FDA lies, pill reviews, contents of celebrity medicine chests, acquisitional tips, and hundreds of remarkable photos and illustrations guaranteed to stop the breath of the unrepentant pill fiend. Here it is: A cultural study of pills. Not medicine per se nor health nor pharmacology—just pills, all pills, any pills—pills that get you stopped at the border, pills that associate you with the rich and famous, and pills that link you to skid row. Jim Hogshire wrote the Feral House title Grossed Out Surgeon Vomits Inside Patient: An Insider’s Look at Supermarket Tabloids. He is also the author of the following titles: Sell Your Body To Science, You Are Going To Prison, and Opium For The Masses.